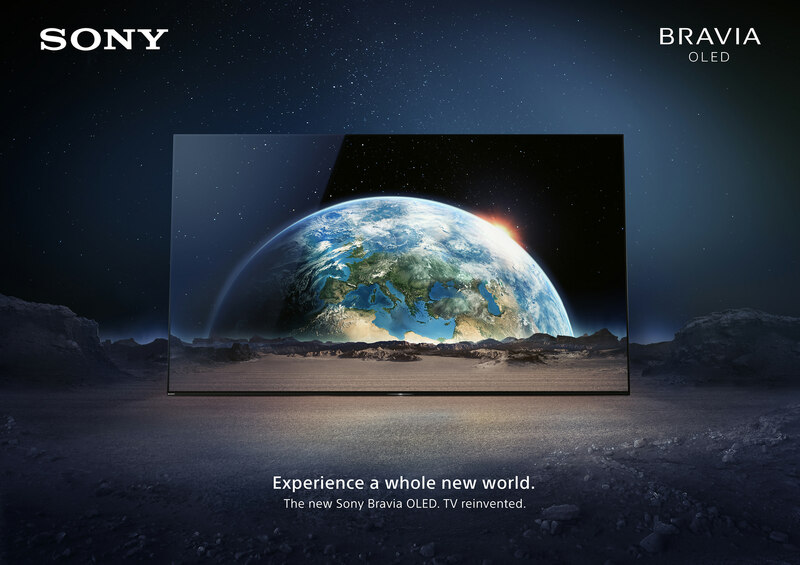 Sony is promoting the XBR-A1E OLED television screen with “Earth Rising”, a commercial presenting an other-worldly perspective on clarity. 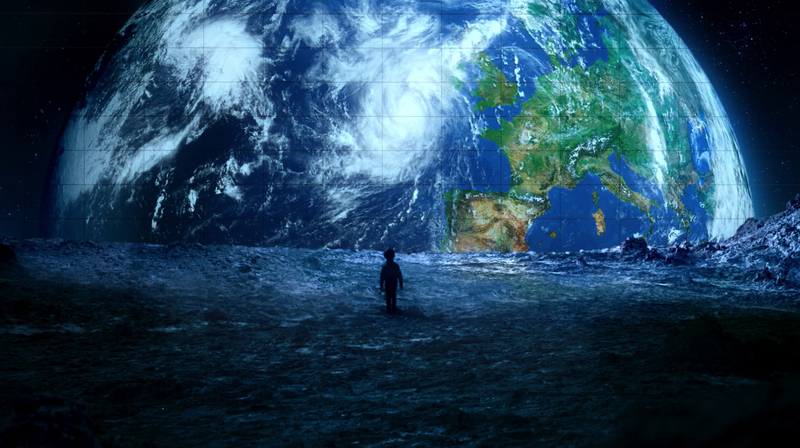 Filmed in the Atacama Desert in Chile, the Sony Bravia Earth Rising film presents the concept of the Earth Rising on Earth, a newly imagined horizon allowing the demonstration of contrast, deep blacks and life-like colour. At first we could be excused for thinking we’re on the moon as men, women and children drive through a desolate landscape to reach their dawn viewing spot. 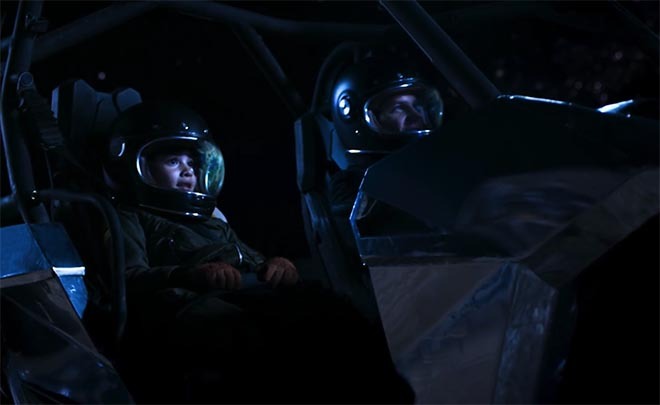 But we get a glimpse of a reptilian creature, and helmets are removed, and we’re let into the secret of the Earth Rising magic, a huge viewing screen wall in the desert. The super: “Experience a whole new world”. Captured by various cameras such as the Sony F65 or the Alpha 7 Mark II in a perfect 8K resolution, the film delivers exactly the qualities that characterize the new Bravia series: a visual experience that shows the incredible, but almost the feeling of the human eye There is reality. 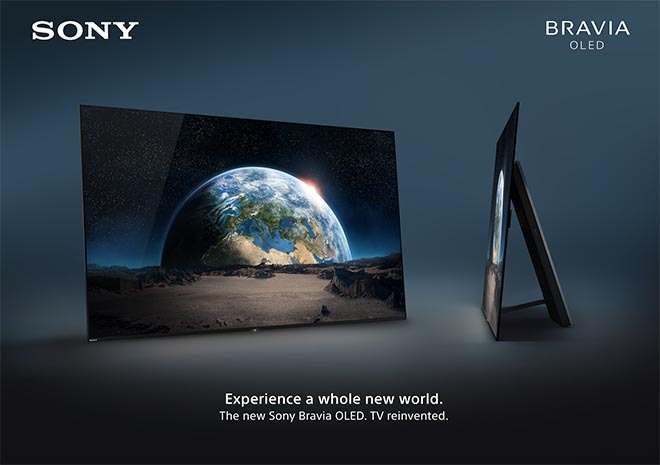 The absolute black of the night desert paired with the impressive colors in which the earth rises, shows the contrast strength that is found on the Sony Bravia OLED. 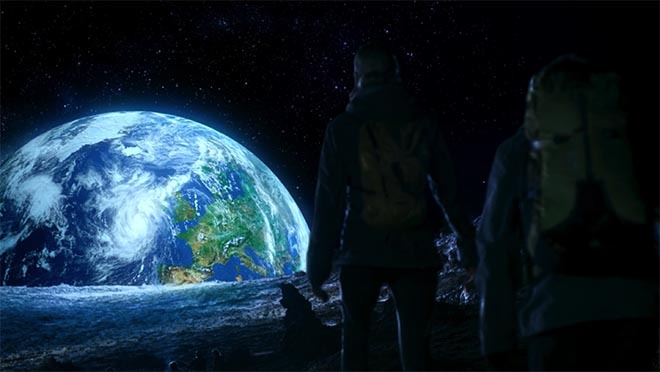 The Sony Bravia Earth Rising campaign was developed at DDB Berlin by executive creative director Gabriel Mattar, creative director Hande Güler, managing creative director Myles Lord, art directors Mahmoud Fathy and Jacopo Biorcio, copywriter Andre Santa Cruz, agency producer (TV) Jens Mecking, print producer Petra Kraus, managing director Toby Pschorr, account manager Federica Sibilla, client service director David Barton working with Sony Pan European consumer marketing head Mikio Nakazawa, head of brand and product communication Shuhei Sugihara, brand and product communication manager Alessandra D’Avino, art directors Richard Small and Johan Andrews. Filming was shot by director Ben Tricklebank via Soup Film with director of photography Sebastian Winterø, editor Benjamin Entrup. Local production in Chile was by La Casa Films. 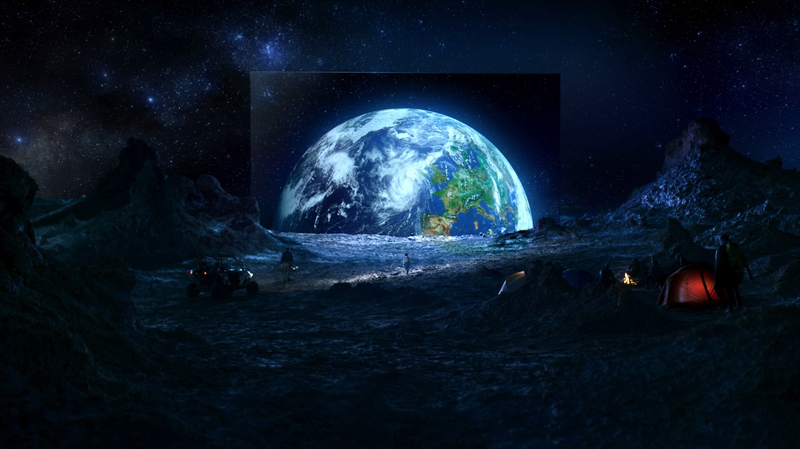 Post Production and visual effects were produced at NHB Studios Berlin, by producer Fiddy Sigmund, VFX supervisor Nhat Quang Tran, 3D artists Tany Heider and Andreas Petri, lead online artist Tobias Horvath, nuke artist Sebastian Ludwig, and colourist Pana Argueta. Music, Robot Koch and Savannah Jo Lack “Heart as a River” ft. Delhia de France, was supervised by Visions from the Roof.